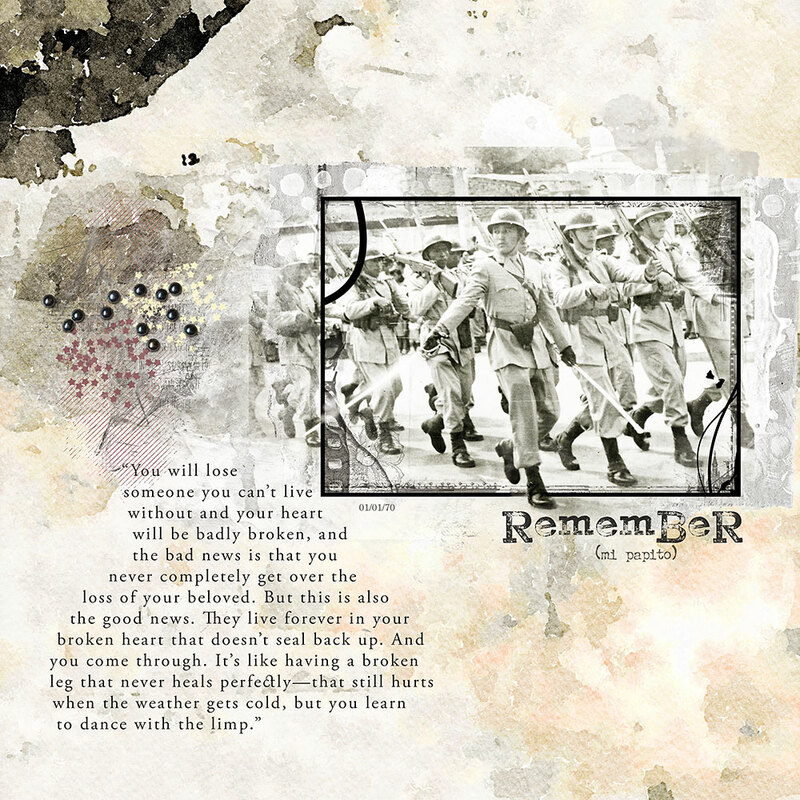 Remembrance Collection – Inspiration by Flor (aka twinsmomflor) Hello scrappers, Flor here, we all lost someone in our lives. 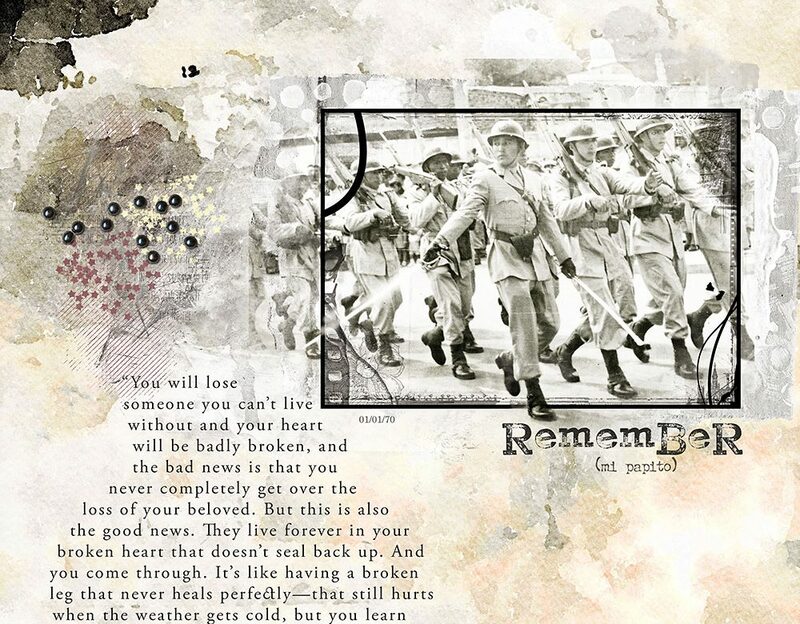 The Remembrance collection gives you an artistic way to tribute your love ones. It is so versatile that you can use with heritage as well as any photo. I clipped my photo with a page blender and a solid paper, erasing the portions that I didn’t want. Place the photo overlay on the top making a OOB of my subject. Add elements on top and bottom. Place wordart.